I uploaded a couple of headband designs to my Etsy shop. Please feel free to check them out! Here are photos of the Button Stack Headband. It comes with 3 stacks or 9 stacks. These headbands are durable enough for everyday wear but would also be great for a woodlands or barn themed wedding. If you have any special requests, email me at ericksonemma@hotmail.com. Otherwise, these 2 styles are available on Etsy now and are ready to ship. 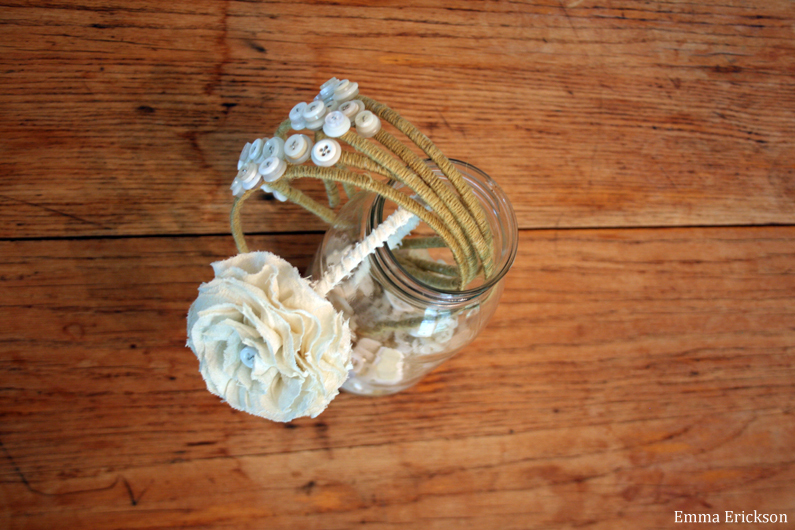 Button Stack Headbands with Crinkle Crepe Flower Headband in Ivory. 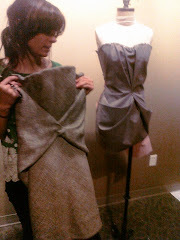 Bamboo jersey dress from my Omaha Fashion Week Spring 2012 collection. 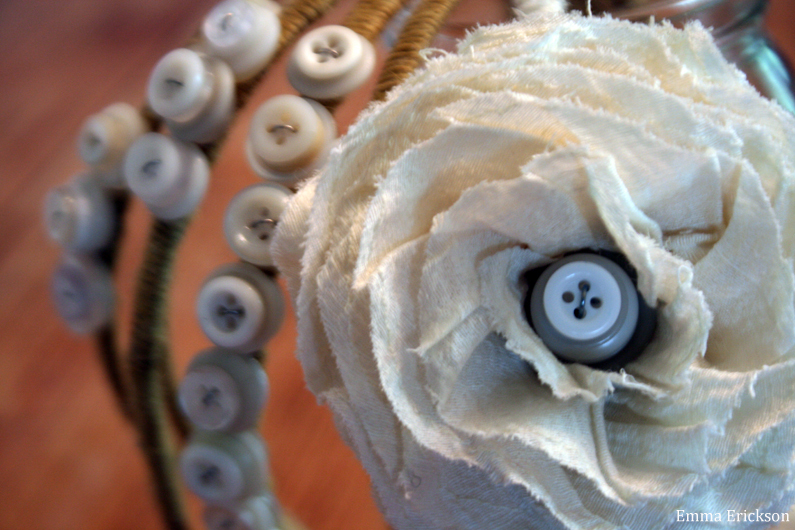 Featuring 3 or 9 vintage buttons stacks in a mixture of cream, ivory and white. These product shots are the work of the amazing G. Thompson Higgins. Elliot Dougherty and Rachel Brodsky were our beauty team and the adorble and super cool Maria Barmettler modeled. Thank you for your awesome support! !